Dale decided that he wanted a D105 Brick Oven in his alfresco area, and built a covered deck to entertain friends and family. This is particularly impressive when you realise that the deck is 3 meters off the ground! A very neat oven build by any standards. 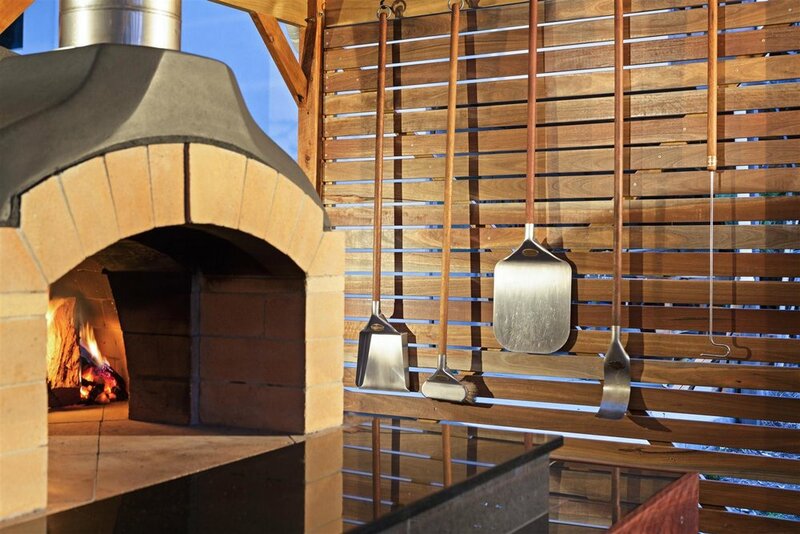 "When I decided to get a Pizza Oven I did my due diligence and found several different types of ovens from precast units to bricked up units. I had never laid a brick before and the thought of building an oven was quite daunting. After talking to Ben and looking at the design I decided to take on the challenge. This was one of the most rewarding things I have done and great experience for my son who helped me along the way. Ben was terrific to deal with and whenever I had a question he was only too happy to help out."